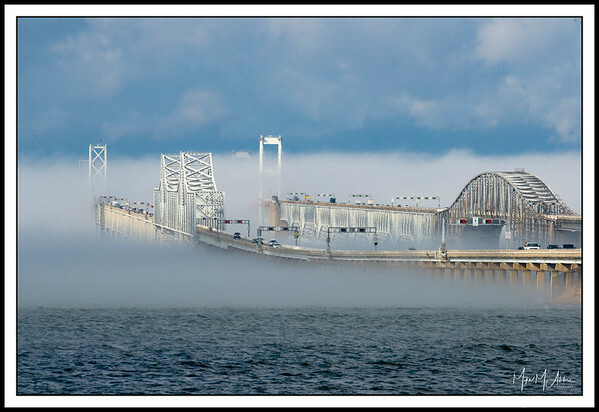 Fog shrouds the eastern end of Maryland's Chesapeake Bay Bridge. 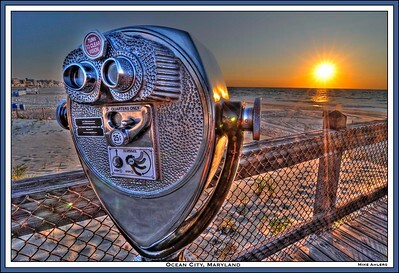 Twenty-five cents gets you a close-up view of the sea on the pier at Ocean City, MD. 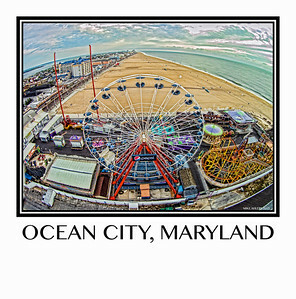 The beach stretches to the horizon in this bird's eye view of Ocean City and its pier amusement park. 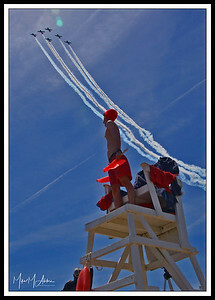 The Ocean City Beach Patrol practices semaphore in their sandy office. 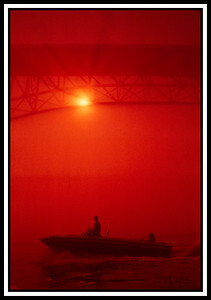 An Ocean City lifeguard, transfixed on his duties, seems oblivious to the commotion over his shoulder. 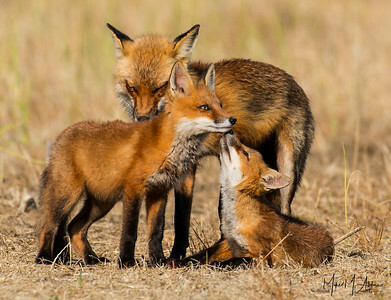 A kit gets loving attention from his mother and sibling on the Isle of Wight, not far from Ocean City. 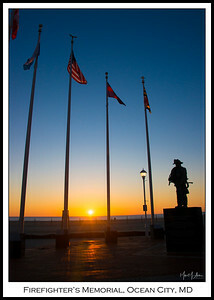 The sun rises at the Firefighter's Memorial on the boardwalk in Ocean City, MD. 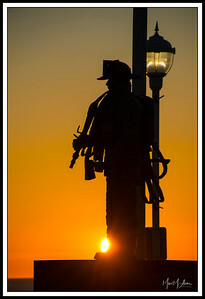 A sunrise silhouettes the Firefighter's Memorial on the boardwalk in Ocean City, MD. 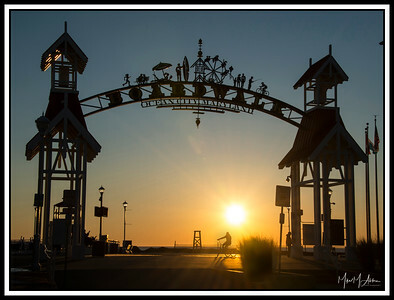 The sun silhouette's the gateway to Ocean City's boardwalk. 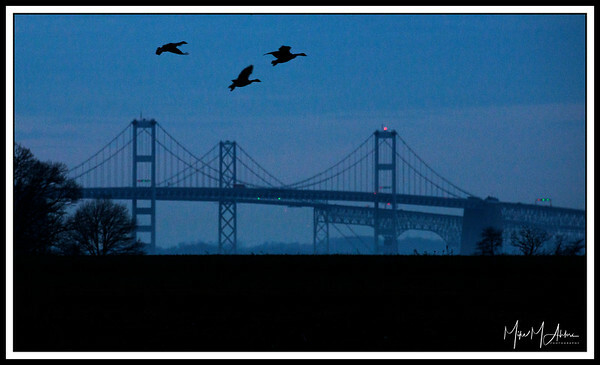 Canada geese arrive to roost on Kent Island east of the Chesapeake Bay Bridge. 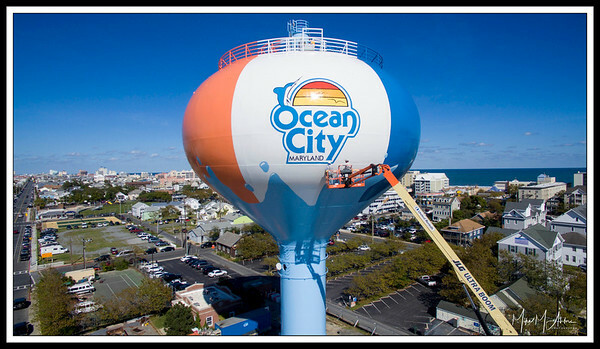 Painters sign the water tower at Ocean City, Maryland, after painting it to resemble a beach ball. 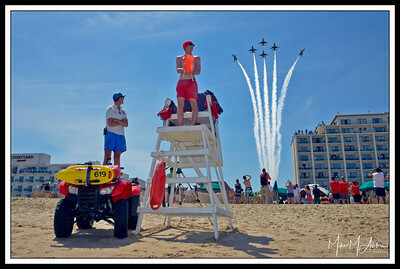 A lifeguard has the best seat in the house when the GEICO Skytypers soar overhead at the Ocean City Air Show. 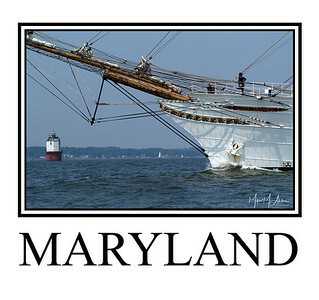 A tall ship sails past Sandy Point Shoal Light, a brick three-story lighthouse erected in 1883. 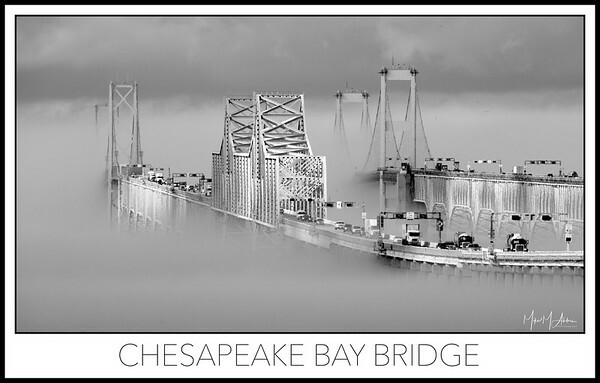 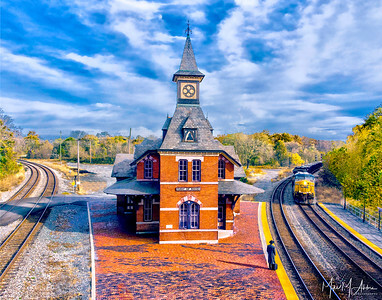 The lighthouse lies about a half mile north of the Chesapeake Bay Bridge. 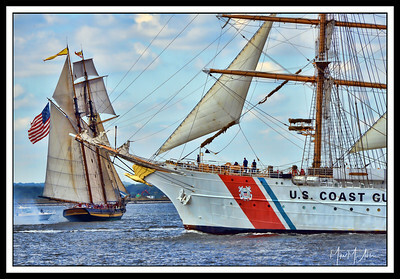 The U.S. Coast Guard Cutter Eagle passes the Pride of Baltimore II near Ft. McHenry in Baltimore, MD. 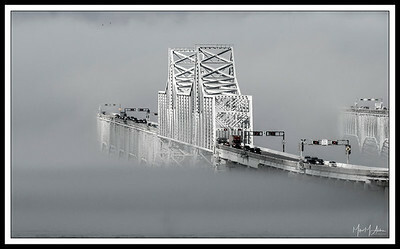 A powerboat passes under Maryland's Chesapeake Bay Bridge in a heavy sunlit fog.